Mar. 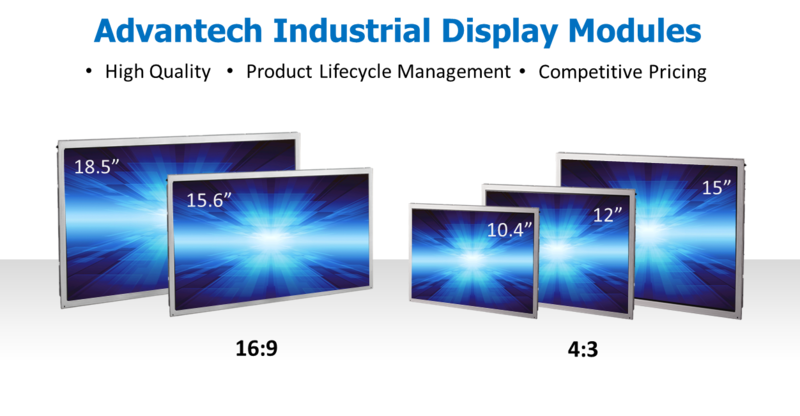 30, 2016, Taipei – Advantech (2395.TW), a leading global manufacturer of embedded platform solutions, announces a full range of Industrial Display Modules—the IDM-1000 series range from 10.4", 12.1", and 15" models, to 15.6" and 18.5", in both 4:3 and 16:9 formats. Working directly with our strategic partners, Advantech provides high quality Industrial LCD modules with superior specifications, lifecycle support and competitive pricing. Our 10.4" and 12" models support 1024 x 768 resolution while most models in the market support only 800 x 600. Moreover, all IDM-1000 series support -20 ~70 °C wide range operating temperature and they are all fully tested with Advantech’s boards to guarantee 100% compatibility. Many different types of panels are offered in the industrial field. However, most of them are not suitable and are often quickly phased out. 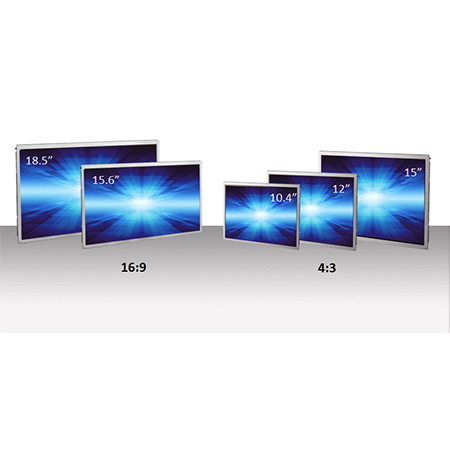 Advantech works closely with our strategic partners to offer the IDM-1000 series of high quality industrial LCD panels with longevity support so customers don’t need to worry about EOL issues and conflicting product roadmaps. Moreover, Advantech provides design-in and technical support such as light-on test so you can focus on your application integration. Advantech IDM-1000 series guarantees 100% compatibility with all Advantech embedded boards andcomes with free BIOS mods and interoperability support. Customers can shorten time-to-market and R&D cost with pre-configured cable sets to make complex matching of embedded boards to panels as easy plug and play. Compatible LVDS cables and backlight cables are provided as options. The IDM-1000 Series is available with five screen options: IDM-1104, IDM-1121, IDM-1150, IDM-1156, and IDM-1185. For more information, please contact your local sales or visit www.advantech.com.